Whether you are buying or selling a home in San Antonio, location is key. The quality of nearby schools (particularly public schools) is directly related to the desirability of an area. For families with school-age children, school quality is important because education itself is important. However, the reputation of a school district also impacts property values and may even - in the case of the best districts - insulate home values from broader downturns in the marketplace. Let RealLuxury San Antonio be your resource for timely and relevant information concerning San Antonio area schools. On this website you can learn about San Antonio's public school districts, along with its magnet, charter and private school options. When you are ready to dig deeper, contact Jennifer Perloff for a free, in-depth report on any local district or charter school. To see a sample report, click here. 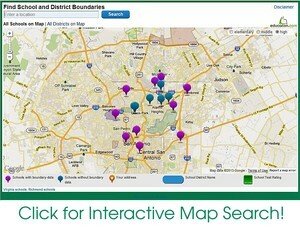 The San Antonio area is served by 17 independent school districts. These districts include more than 450 public schools serving the academic needs of San Antonio's diverse student population. 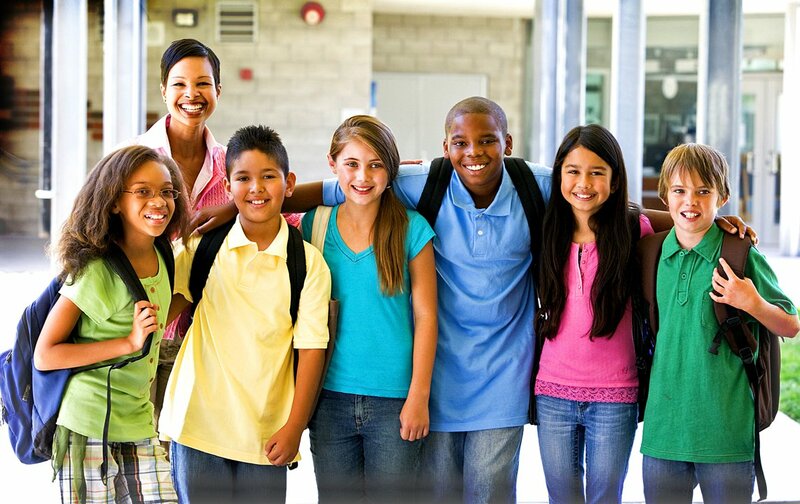 Each school district provides comprehensive educational services and programs from kindergarten through 12th grade. These include advanced placement (college preparatory) curriculum, magnet programs, special education and a wide range of extracurricular activities. Click on the links above to visit a school district home page or click on the map above to interactively search for schools and district boundaries. Click here to compare San Antonio area school districts on metrics including enrollment, student-teacher ratio, and accountability rating. San Antonio students interested in a particular academic or vocational field of study can take advantage of one of nearly twenty magnet schools and programs offered by local area school districts. There are more than 100 private schools in the San Antonio area offering instruction from pre-K through high school. For more information visit www.saprivateschools.com.